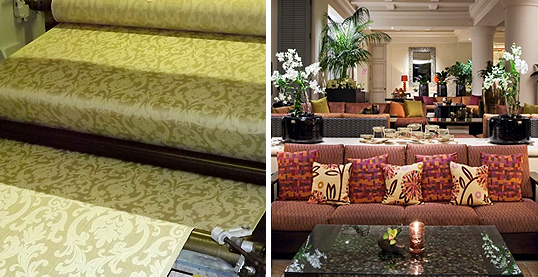 Custom Laminations is the leading full service fabric and wallpaper finishing firm in the industry. With almost 50 years of experience processing literally thousands of different types of fabrics and wallpapers, Custom Laminations is the favorite choice of designers, upholsterers, fabric and wallcovering manufacturers for residential, hospitality and commercial applications. 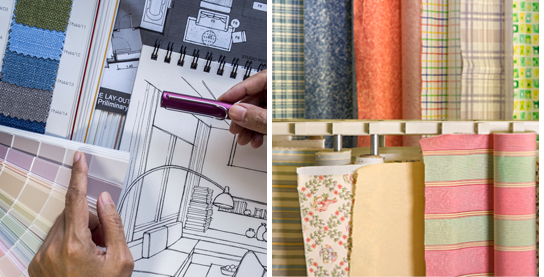 We offer Vinylizing™ (our specialty film laminating service for both fabric and wallpaper), knit backing (KnitBac™), acrylic backing (AcrylicBac™), nonwoven backing (NonWovenBac™), paper backing (PaperBac™) and many other fabric and wallpaper finishes, laminations and coatings. Click here to view all of our Performance Processes. We’d like to hear from you so reach out to us with your special requests. To send us a sample, click here.